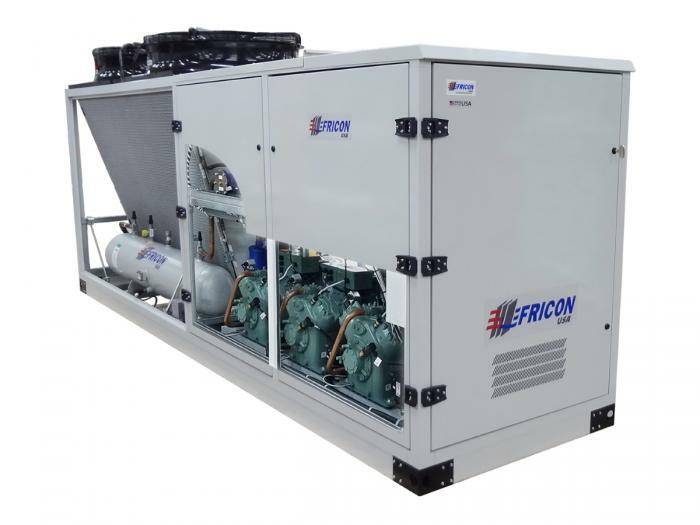 The FMCU-P: FriconUSA Medium-Sized Condensing Unit, Premium series, air cooled condenser, is built with the best components in the market including Bitzer semi-hermetic compressors; available in capacities from 15 to 60 HP in configurations of a single compressor, or dual and triple parallel compressors. The high quality and efficiency of our products allow us to ensure our clients a highly reliable operation, low energy consumption and long equipment service life. By using Bitzer Ecoline semi-hermetic compressors with infinite variable capacity control "CRII" between 10% and 100% or the implementation of an external VFD (Variable Frequency Drive) or “Varispeed Compressor” on the first compressor, we convert this condensing unit into an incredible VRF (Variable Refrigerant Flow) system resulting in a greater adaptability to the thermal load demand and maximizes energy savings at partial load. For Extra “X” Low application temperature, the unit has a Bitzer two-stage semi-hermetic compressor with sub-cooling. 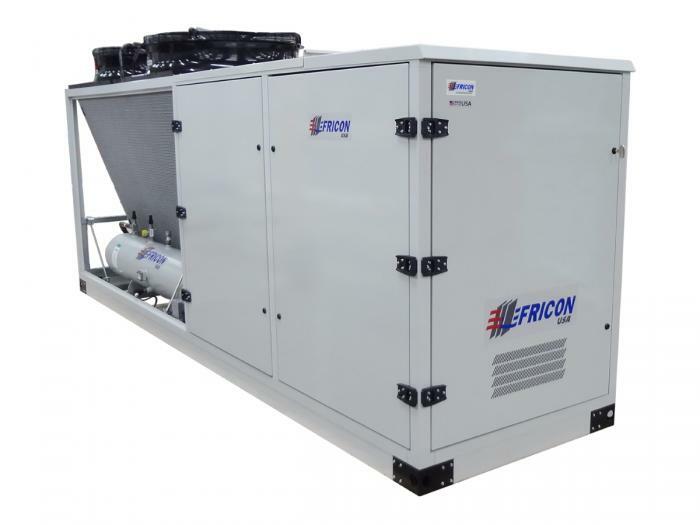 The VRF (Variable Refrigerant Flow) option for this type of unit uses an external VFD (Variable Frequency Drive) on the first compressor. Galvanized, powder coated, acoustically semi-insulated and weatherproof semi-enclosed compressor cabin. Quiet, high efficiency, external rotor motor, two speed, AC type axial fans for a better operation. Horizontal liquid receiver with inlet and outlet insulate valves, stainless steel relief valve at 450 PSI and electronic low liquid level indicator. Suction filter and liquid drier with replaceable core. Power Supply Voltage 460V / 3PH / 60HZ with single point power connection. Electronic Control System; compressor(s) and condenser fans operational management: alarms, measurement of pressure and temperature variables, 132x64 LCD backlit built-in display with 6-button keypad. Alarm management: 3 alarms for compressor(s) (overload, pressure and oil) and 1 overload alarm for condenser fans.